Two of Ohio's best hurdlers, Tyler Hannah and Moe Abusway are set to go head-to-head at this evening's NEOITC White Division #2 meet, hosted by SPIRE. Hannah, of Lakewood, took the 60m hurdles victory at White #1 with an 8.21 clocking. He followed that effort up with another victory at the Scholastic Meet #1 last weekend with a time of 8.34. 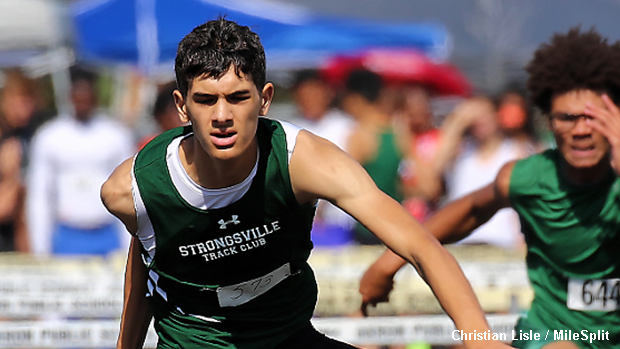 Strongsville's Abusway, who claimed fourth at last year's D1 State Championship, will be making his 2019 indoor season debut. He owns a stellar pr of 8.13. Moe Abusway will also line-up in the 60m contest.